This is something silly I was toying with in case I could sneak it into a project I sometimes work on. It just didn’t quite fit, so I thought I would release it as a last hoorah for 1st edition Pathfinder, and April Fools’ day felt like a great time to do so. 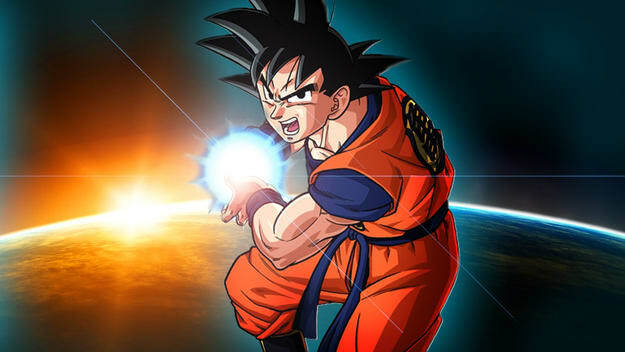 You have learned the powerful art of channeling your ki into a line attack by using the power word KAMEHAMEHA! Benefit: You gather your ki into a single ultrapowerful blast. When you begin channeling your ki, you determine how many points of ki to use. You must spend a full round channeling your ki, each second yelling the next part of the word KA-ME-HA-ME-HA. While channeling, this ability can be disrupted as if it were a spell equal to the number of ki points you’re channeling. Use your monk level and wisdom modifier for any concentration checks. A failed concentration check disrupts this ability, causing you to lose the ki points you were channeling and you are fatigued for 1 round. At the start of your next turn, you release your ki in a line 10 ft long for every point of ki you channeled and make a single melee attack roll at your highest base attack bonus against each opponent. The damage is equal to all the dice from all the attacks you could have made using flurry of blows as a ki strike as if you were one size larger. You are fatigued for 1d4 rounds. Additionally, your ki pool increases by 1. You have mastered the Kamehameha so well that you can perform it in tandem with an ally. Benefit: You may perform a kamehameha attack with an ally that also possesses this feat. You must be adjacent to each other, acting on the same initiative through the use of readied actions, and stay adjacent to each other during the entire attack. You must both spend the same number of ki points, and if either of you are disrupted, the entire attack is disrupted. 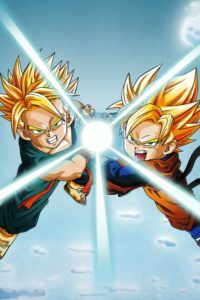 You both make the attack roll, using the higher of the two results, and the damage is equal to all the dice from both of your kamehameha attacks plus the total number of ki points spent on the attack.